57 Cute When She’s Angry. 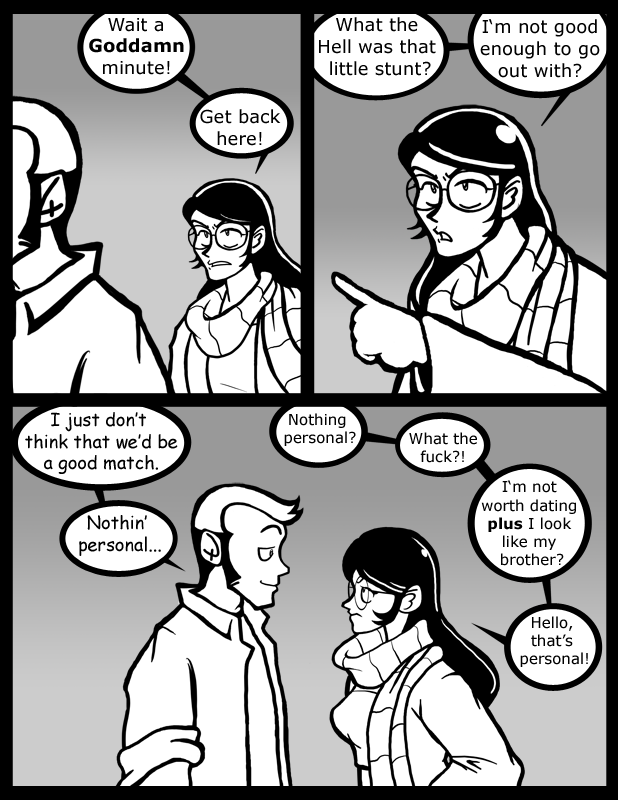 On another note, I can definitely see the resemblance between her and Ed, especially in the first two panels. Kudos, Crave! THIS TITLE LIES! Angry Jess is scary ugly. Seriously, she haunts my nightmares. I reckon her little temper there would probably even snap me out of my reverie. She looks damn fine, but I can’t abide over-emotive.